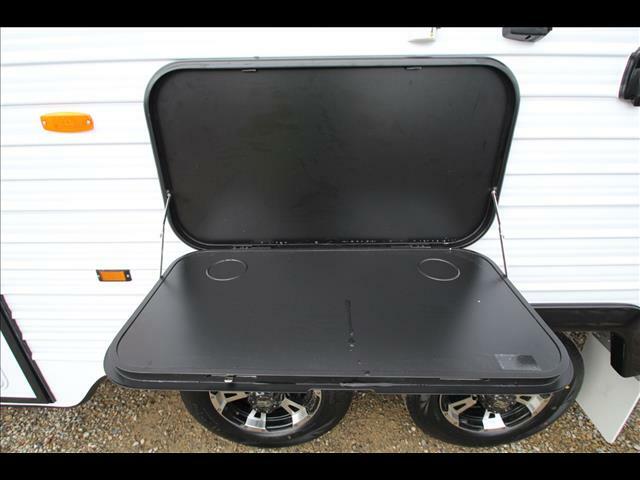 2018 plate clearance models. 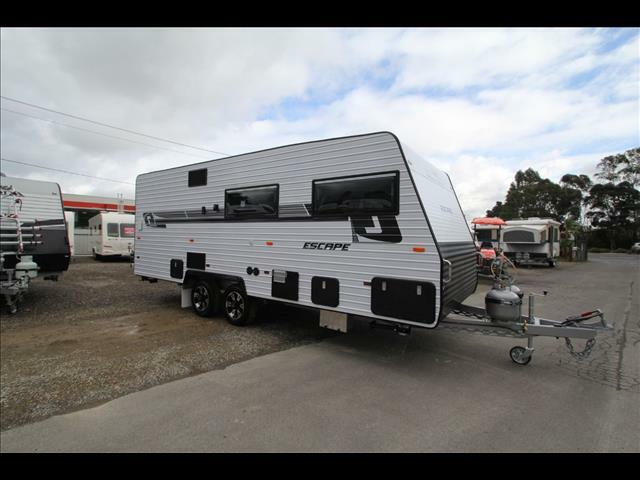 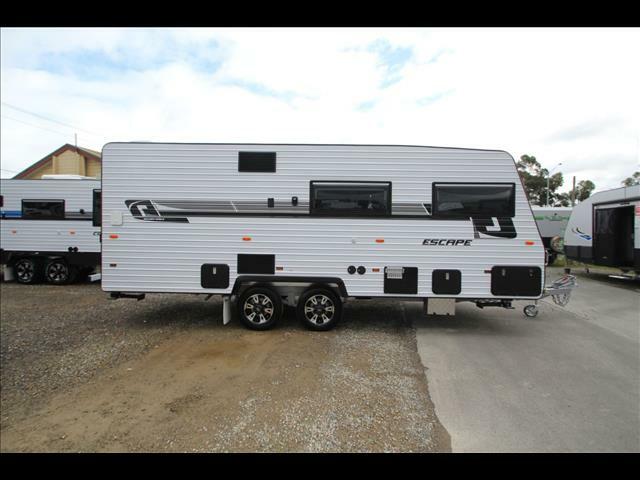 2 of these amazing family caravans are on sale for only $53,990 drive away. 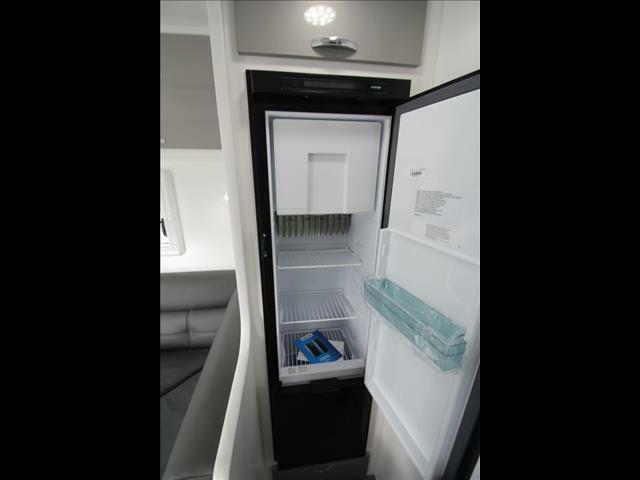 Grab yourself a Bargain today while stock lasts. 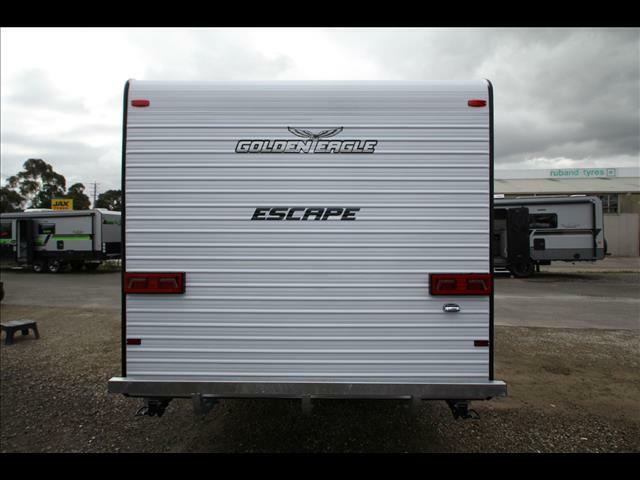 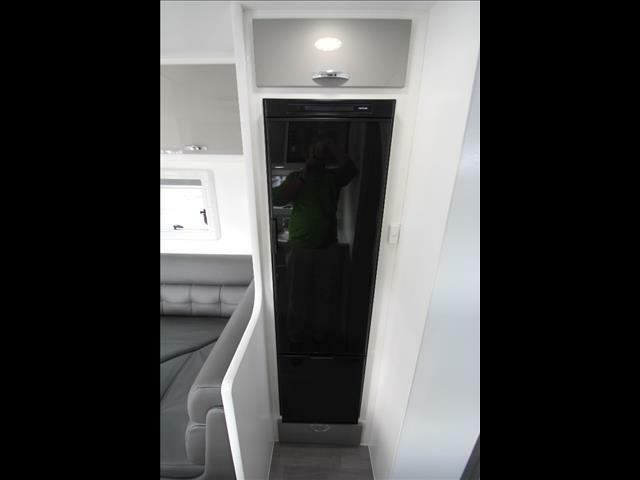 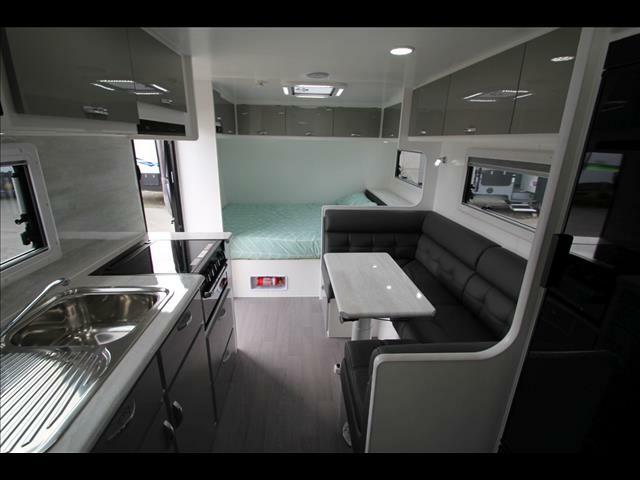 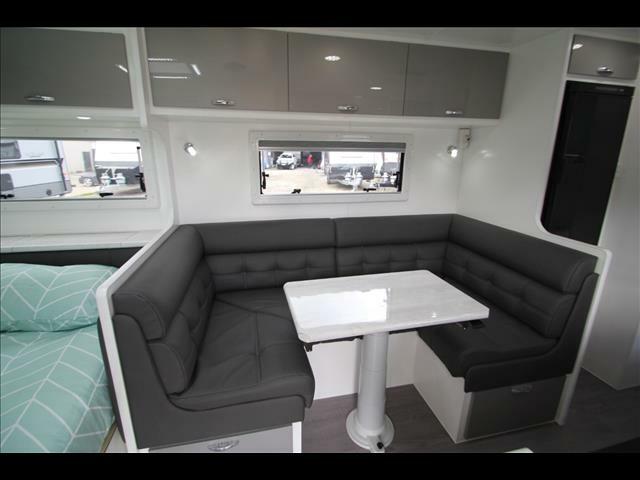 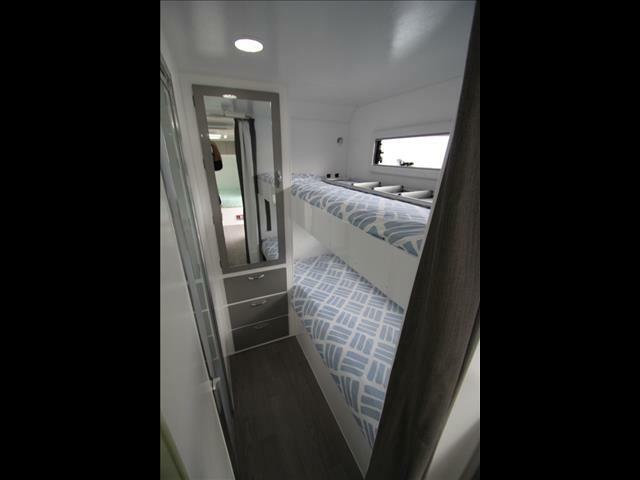 The new 19&apos;6 Golden eagle Escape is amazing use of space. 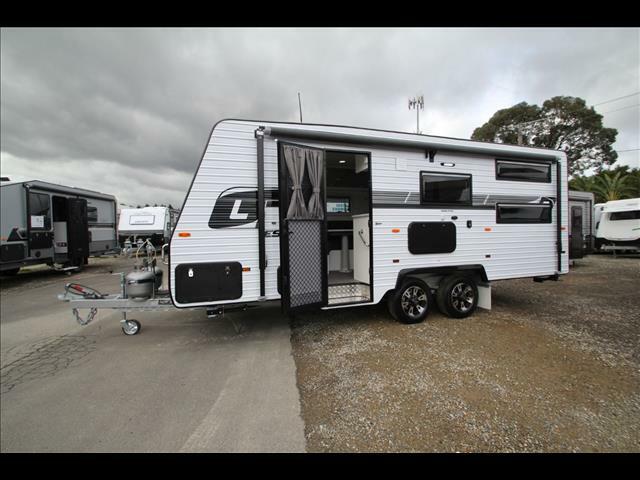 Fitting an east west bed at the front, club lounge, full ensuite & 2/3 bunks this caravan is perfect for families. 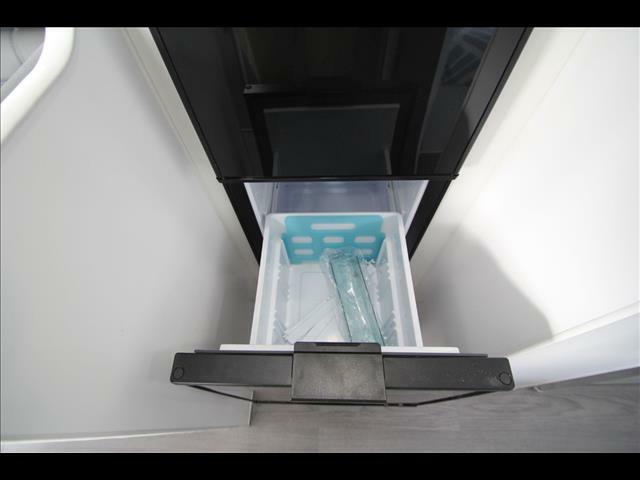 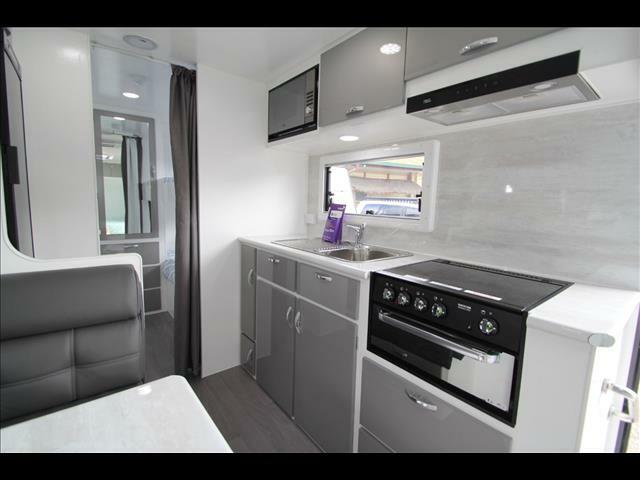 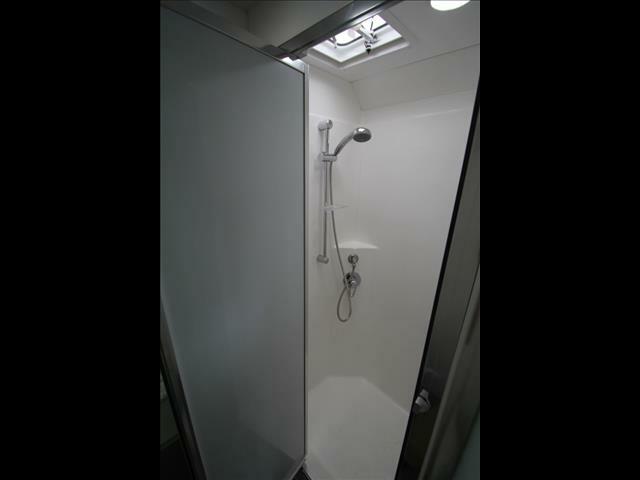 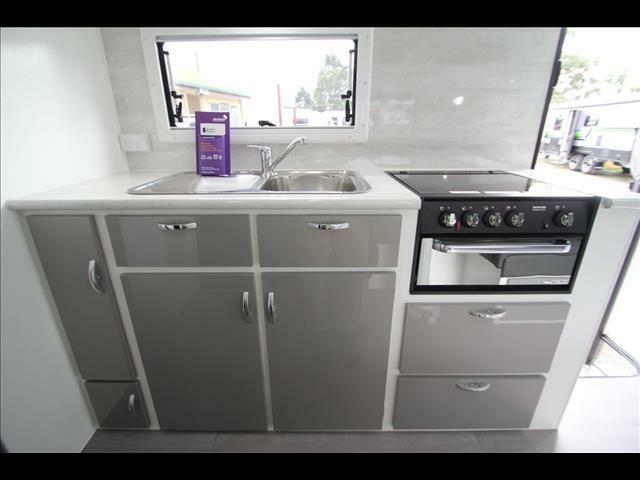 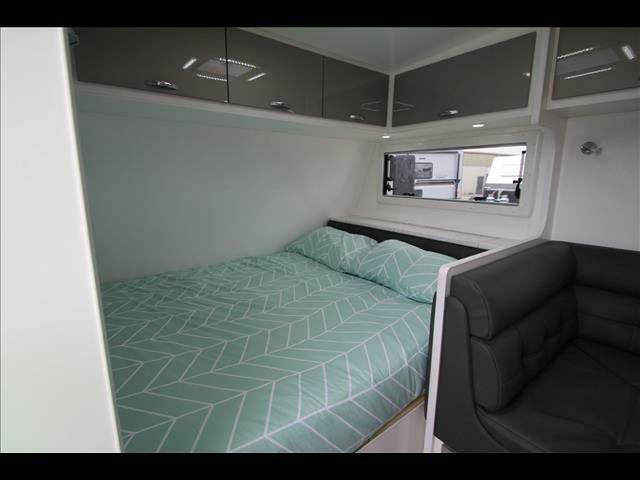 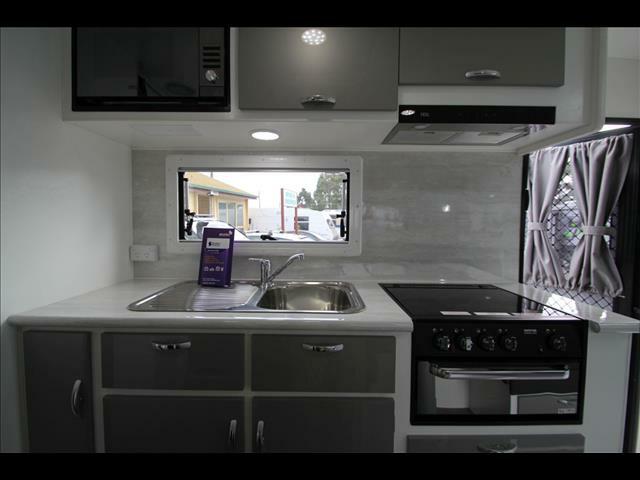 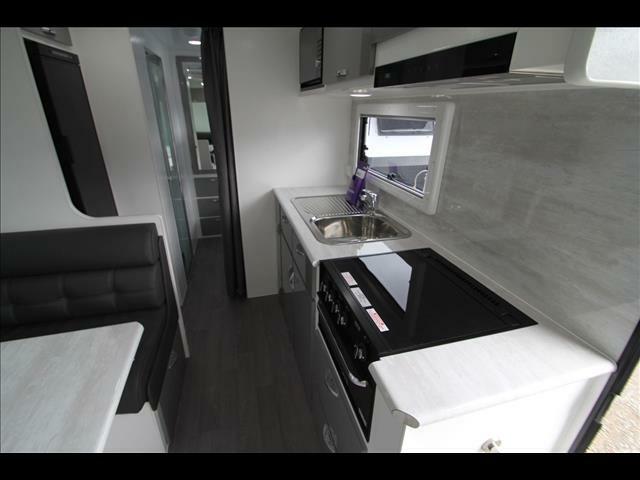 This caravan has been designed initially for families travelling to caravan parks or smaller free camping trips. 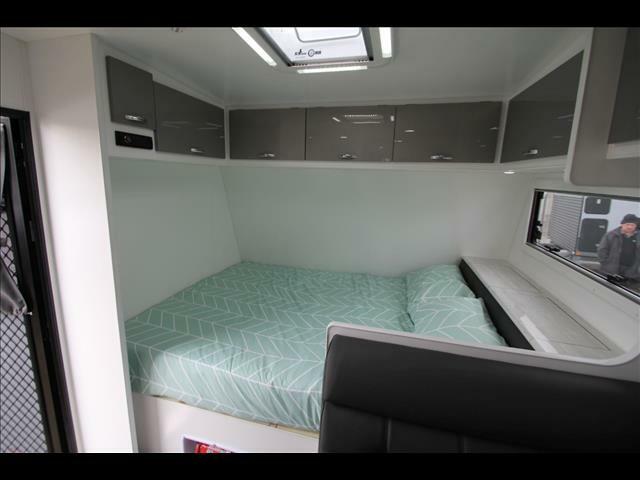 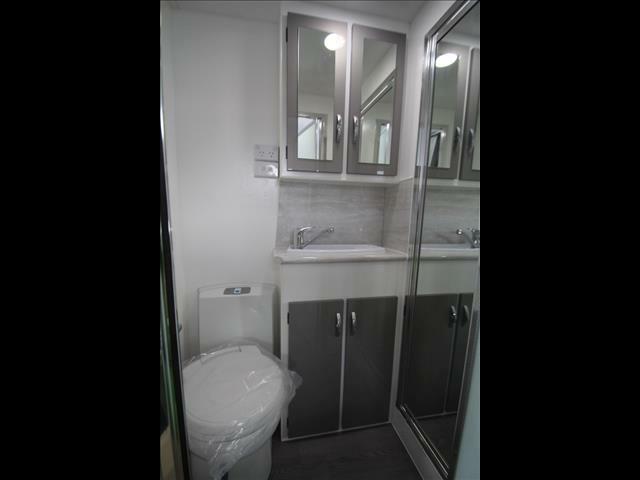 We have provided all the necessary items such as air conditioner, battery system, shower & toilet, bunks, 2 X 95 ltr water tanks, 12 volt pump, solar provision, reversing camera provision, Innerspring mattress, glass door to ensuite, microwave, 4 burner cooker, LED lights, roll out awning, 2 X tunnel boots, 12 volt DVD/CD player, Cafe seating with Nova Mappa movable table leg & more. 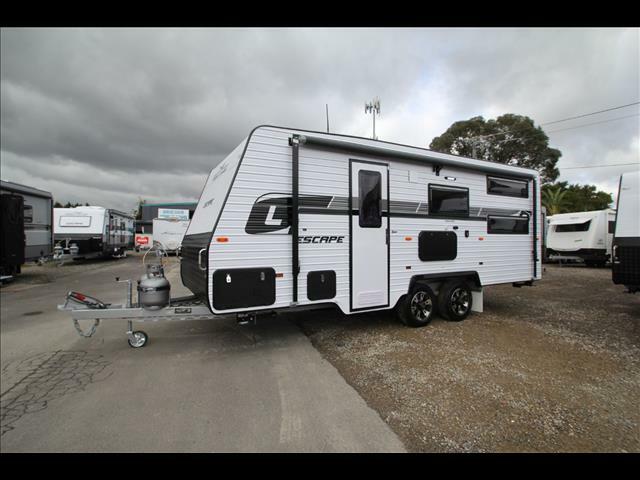 This amazing caravan is $56,990 drive away as displayed. 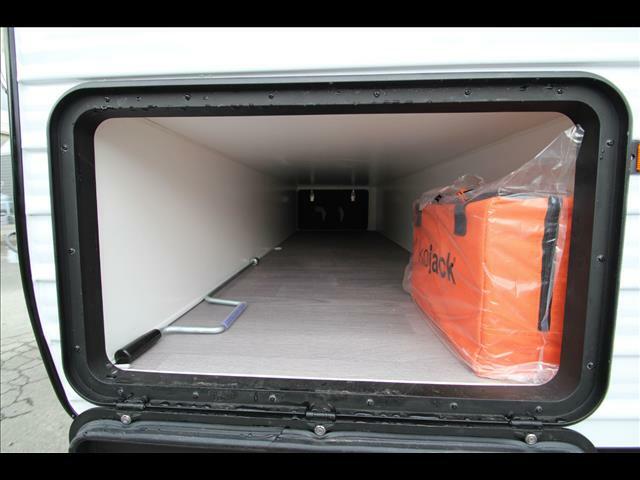 There are Packages available for customers who wish to be more off road or able to free camp for longer periods of time. 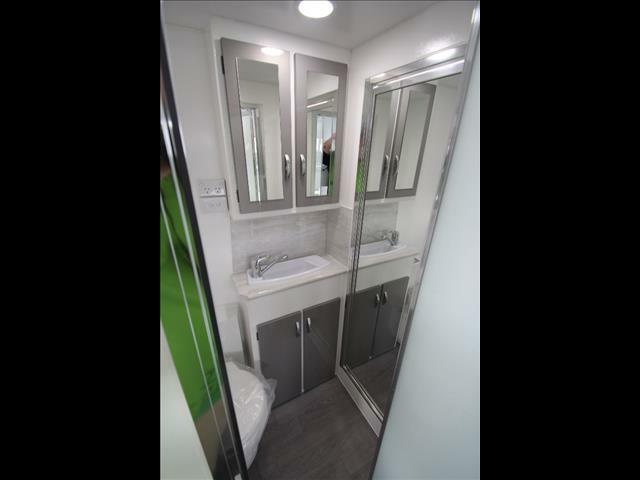 For any further information please kindly contact us on the details provided. 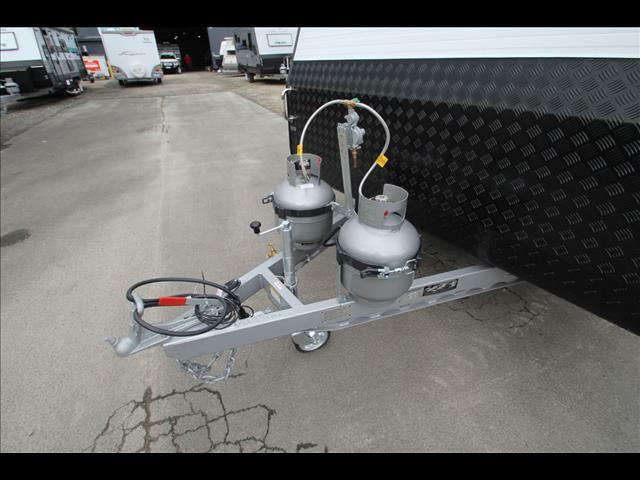 Tare weight 2241kg ball weight 200kg atm 2841kg (with 600 kg payload) 400kg payload only required if only travelling to caravan parks as you wont need to carry full water tanks.